That is our theme verse for children’s ministry at Grace. We are passionate about equipping our children with the truth of Scripture so that they may one day become men and women who love Christ and honor His Word. Our children’s curriculum focuses on Bible truth presented in creative, fun, and memorable ways. 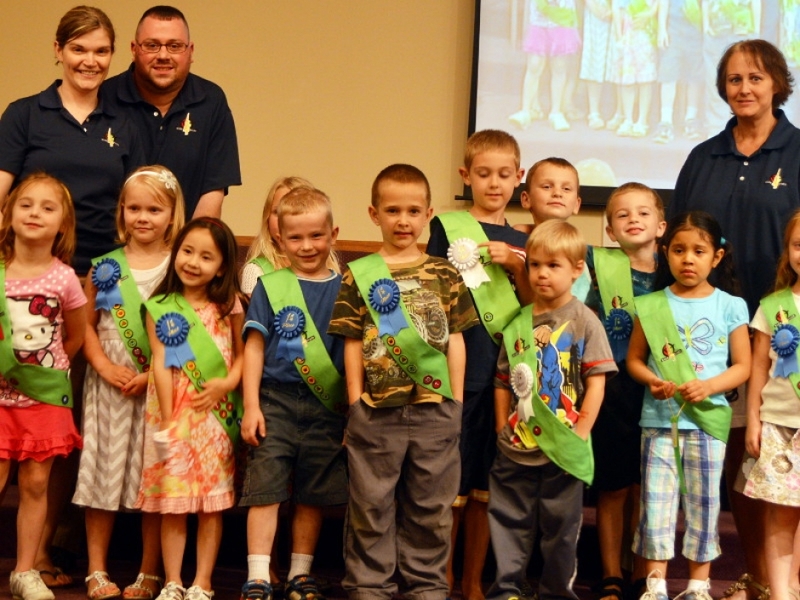 Our Kids 4 Truth Bible clubs give children a chance to have fun while earning badges, singing, memorizing Bible verses, and most importantly, developing a genuine relationship with God. The songs, verses, and lessons are part of a unified curriculum that grows deeper as your child grows. As a church, we value our role in raising up godly young people. But parents (and grandparents) are the most important spiritual influence in a child’s life (2 Timothy 1:5). That’s why we work hard to communicate with parents, enabling you to get involved in teaching your children and reaffirming what they’ve learned here. 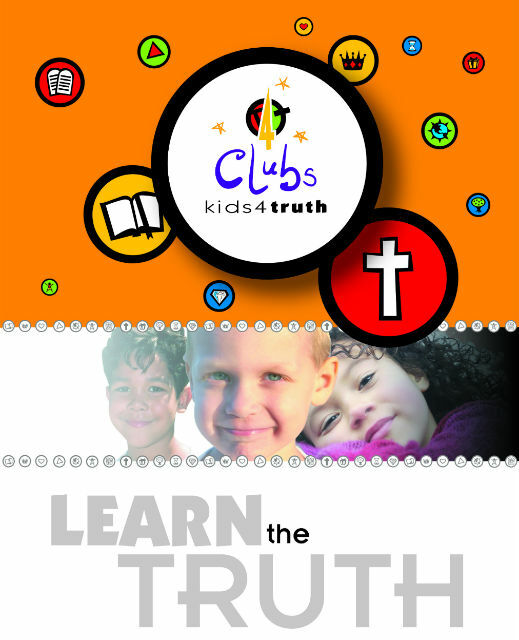 Because the Kids 4 Truth curriculum is structured to grow with your children, your 2nd grader and your 6th grader will each be taught the same basic Bible truths in an age-appropriate manner. You’ll also get email updates and discussion guides so your whole family can stay on the same page. Grown-up church is a difficult thing for a little child to sit through—kids just see the world differently (1 Corinthians 13:11). We know how hard it is for the little guys and gals, but we want them to get used to big church. That’s why we created the Little Lights program. On Sunday evenings, children ages 4-8 begin the worship service with their family for singing and special presentations. Before the grown-up sermon begins, we dismiss the Little Lights to the classroom for an age-appropriate Bible lesson, craft time, and a snack! Of course, your children are welcome to remain in the service if you prefer. We all need a break sometimes. On Wednesday nights in the summer, our kids take a break from memory verses for a while and play! We play outside when the weather permits and we play inside when it doesn’t. We have a short, simple Bible lesson, too. Kids who participate and bring friends earn rewards all summer long. 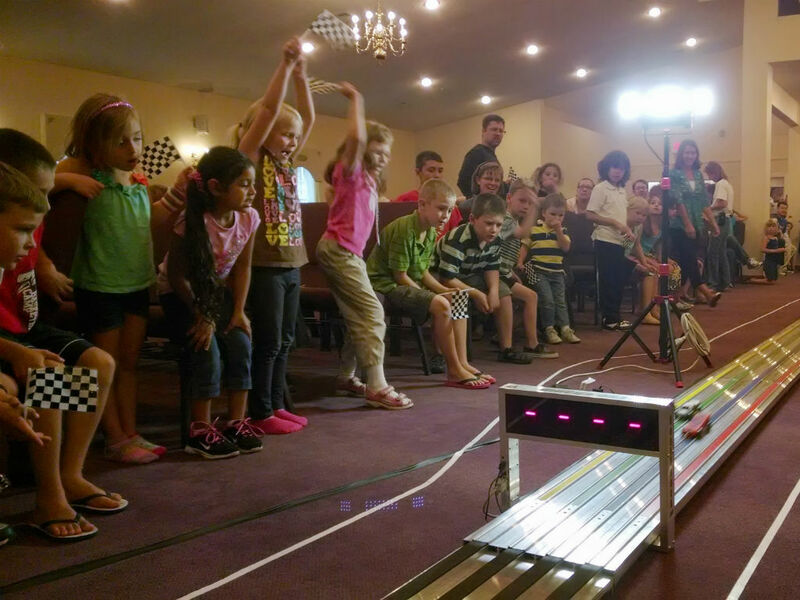 Grace Kids’ Club wraps up at the end of the summer on Race Day, our big pine car derby tournament—complete with special prizes and a photo finish! Interested in working with children at Grace? Great! Just complete the online application. The application process is secure and your information will be reviewed confidentially by a pastor. Any Grace Church of Mentor member may apply.